Gabriel Obertan has signed a two-year deal with Bulgarian side Levski Sofia just four weeks after being released by Wigan. The French winger struggled to make the grade at Manchester United, Newcastle and even the Latics in his time in England. Once hailed as Manchester United’s replacement for Cristiano Ronaldo, Gabriel Obertan’s football journey is set to continue in Bulgaria. After flopping during his time at Old Trafford, then at Newcastle and even in the Championship with Wigan Athletic, the French midfielder has completed a move to Levski Sofia in Bulgaria. He had joined up with the club on a free transfer following an unsuccessful spell with Russian club Anzhi Makhachkala. Prior to this, he spent five seasons with Newcastle, making only 58 appearances and scoring twice. In 2009 Manchester United were dealt the hammer blow as they accepted defeat in their bid to keep Cristiano Ronaldo, and he joined Real Madrid for £80million. But United’s scouts believed they had found a young and hungry player who would go on to fill those very big boots and that man was Obertan. He joined the club for around £3m from Bordeaux on a four-year deal. 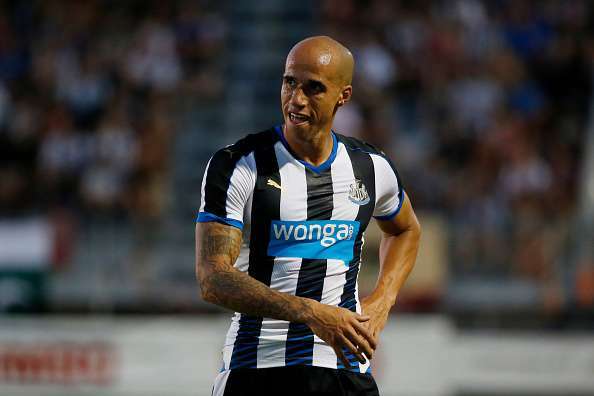 During an injury-disrupted spell at Old Trafford, Obertan managed to play only 14 times, and failed to find the back of the net. He failed to make the grade at Old Trafford, and was shipped off to Newcastle United. He was the club’s second marquee signing last summer after Jordi Gomez, who was also on the books at Wigan, and also Swansea, signed a contract with the Bulgarians. Obertan, a former attendee of the famous Clairefontaine academy began his professional career playing for Bordeaux in France. He then joined Manchester United in July 2009 for an undisclosed fee, before signing for Newcastle United for another undisclosed fee in August 2011.